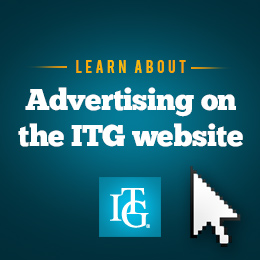 Read more: Join ITG and Receive Free CD! Visit https://itgconference.org/ to register on our secure web site, see a list of artists and a schedule of events. Members can now download the January 2016 ITG Journal. Just login and go to the Journal downloads. Also available is a Journal music supplement entitled "Old Trumpet Flourishes From Austria" by Gerhard Stradner and Edward H. Tarr. Find it on the Special Offerings page! As you continue your ‪#‎CyberMonday‬ and Holiday shopping this season, consider supporting ‪#‎ITG‬ simply while making purchases online with ‪#‎Amazon‬ . Amazon Smile is a great program which affords you the opportunity to support your favorite charitable organizations while you shop! ITG is uploading photos of the Caruso Competition to the ITG Photography Site as it happens. Check it out! Stream the Caruso Competition for free online! The 2015 Carmine Caruso International Jazz Trumpet Competition, taking place this Saturday, September 19 from 1pm-4:30pm CST (-6:00 UTC) will stream online for free. http://www.shsu.edu/live-stream. Read more: Stream the Caruso Competition for free online! Sponsored by ITG and Sam Houston State University in cooperation with the Herb Alpert Foundation, the prestigious Carmine Caruso International Jazz Trumpet Solo Competition will be hosted by Sam Houston State University in the Gaertner Center for the Performing Arts on Saturday, September 19. All are invited to this fantastic event which is free and open to the public. The Chair of the ITG Conference Research Session is looking for researchers and the call for proposals for the Research Room Session at the 2016 ITG Conference in Anaheim is now open! Please download the proposal instructions "here". Deadline to apply is January 1st 2016. Photos from the ITG Conference!